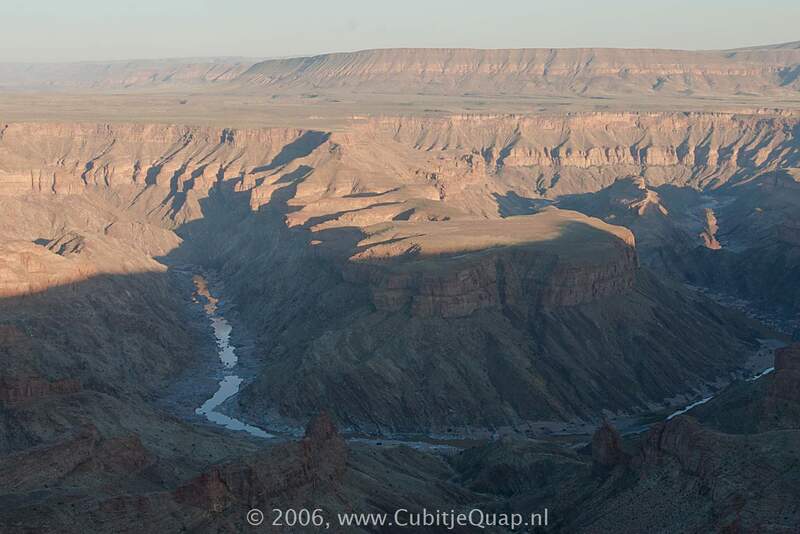 Fish River Canyon is one of the largest canyons in the world. 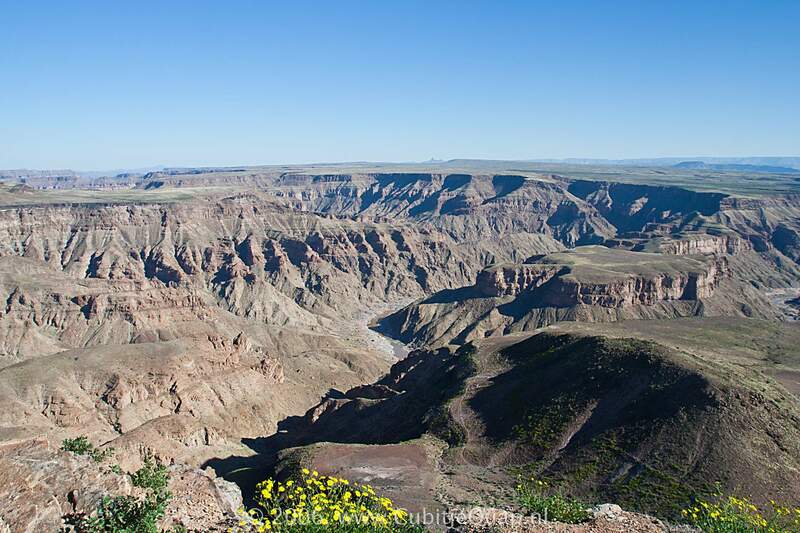 Although smaller than Grand Canyon in Arizona (US), it competes with the Blue Nile Gorge in Ethiopia for the title of largest canyon in Africa. 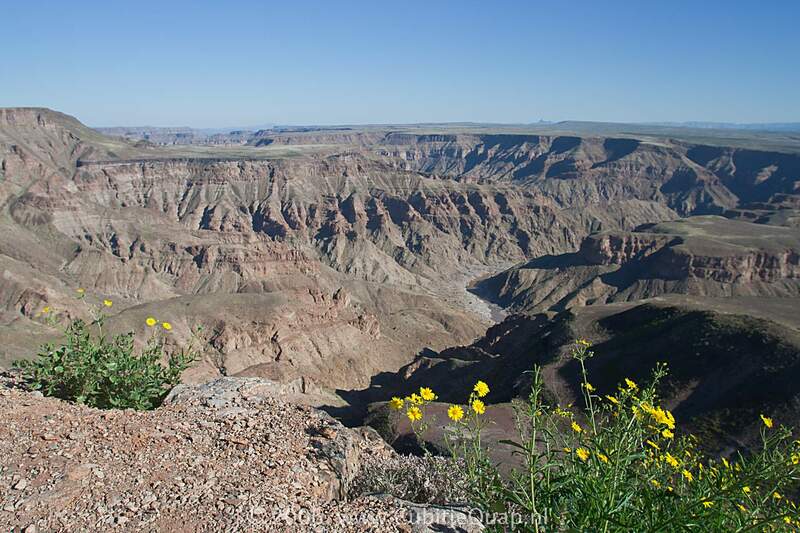 In Namibia it is one of the major attractions. 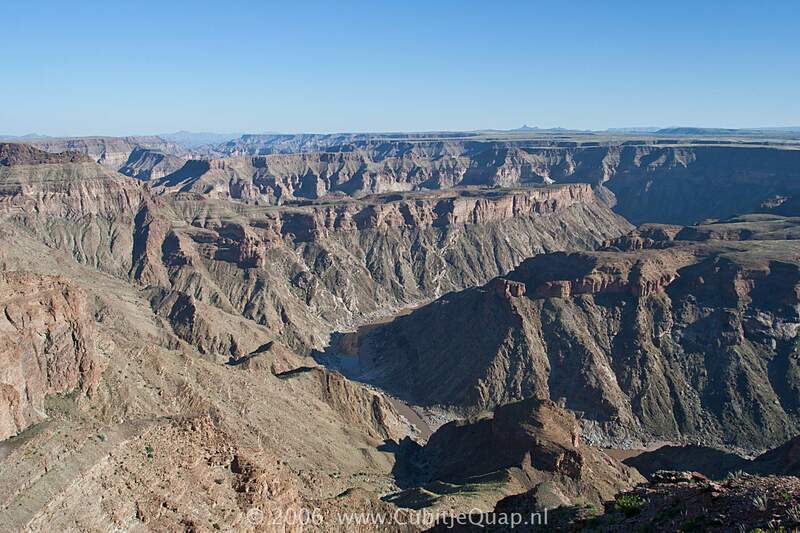 It is about 160km (100 miles) long, 550 meters deep and about 27km wide. 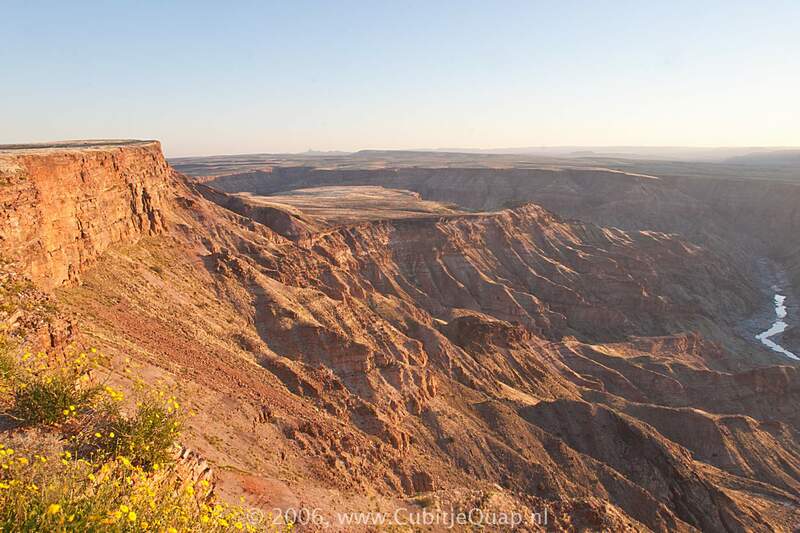 Around 650 million years ago, the rock surface in the area eroded to form the floor of a shallow sea over southern Namibia. 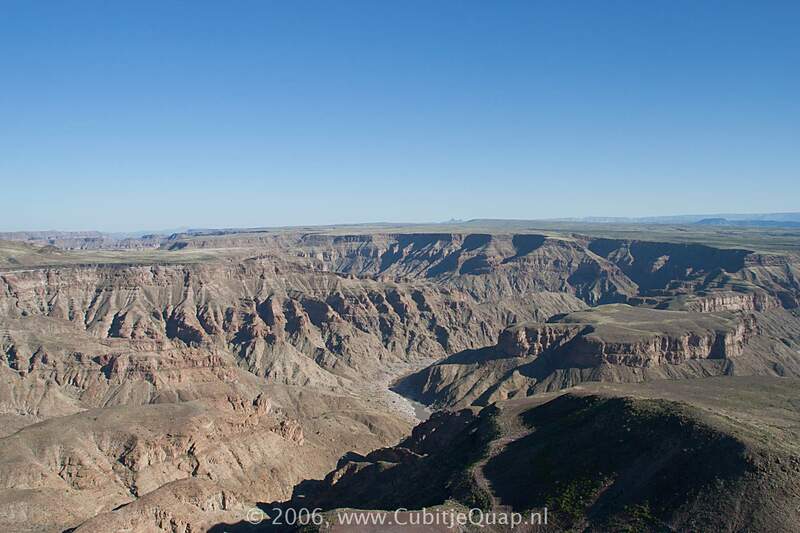 During the course of millions of years, water, wind, gravity and earthquakes gouged out what is now Fish River Canyon. 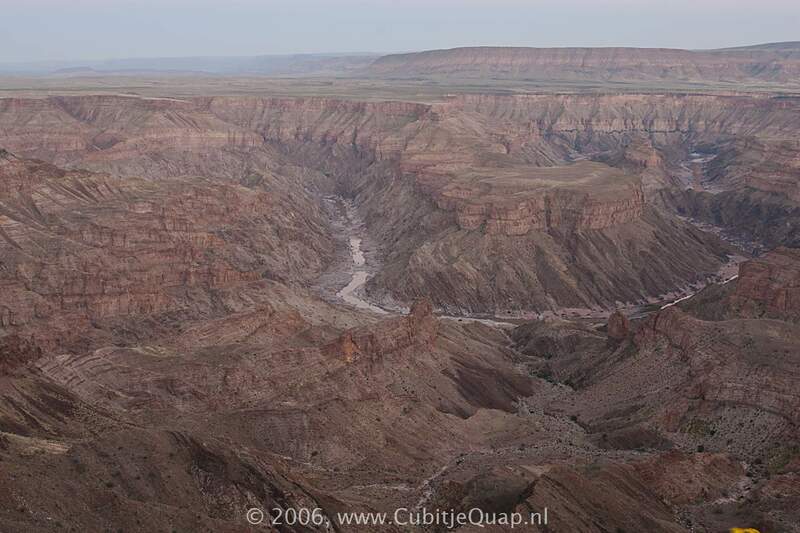 Fish River is the longest river in Namibia and is very important for water supply in southern Namibia. 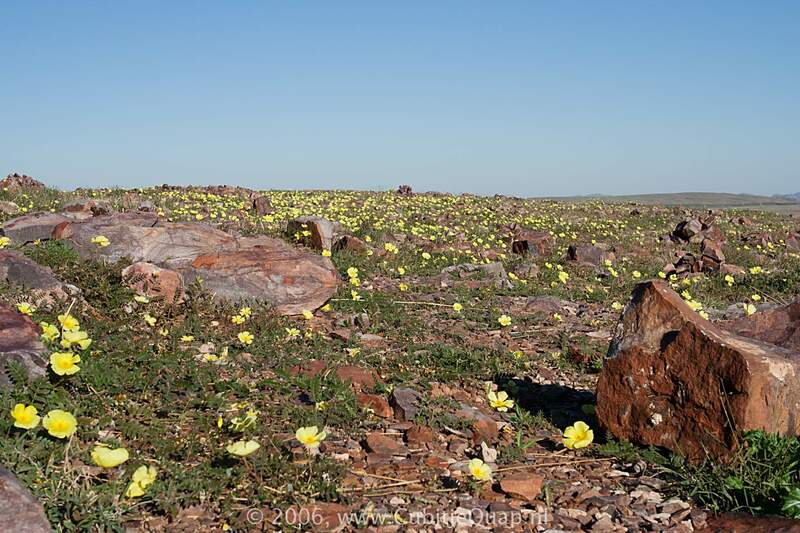 A San legend tells that Bushman hunters chased "Kouteign Kooru", a snake. 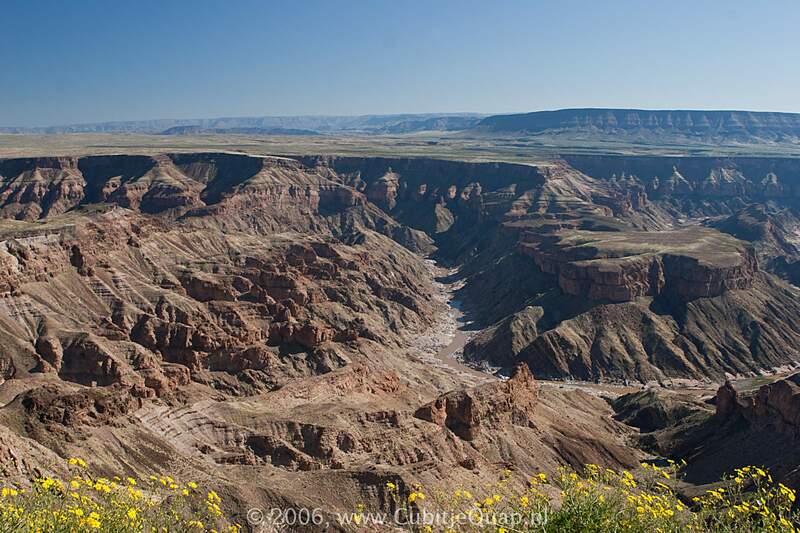 When trying to escape, the serpent slithered away and in that way created the canyon. 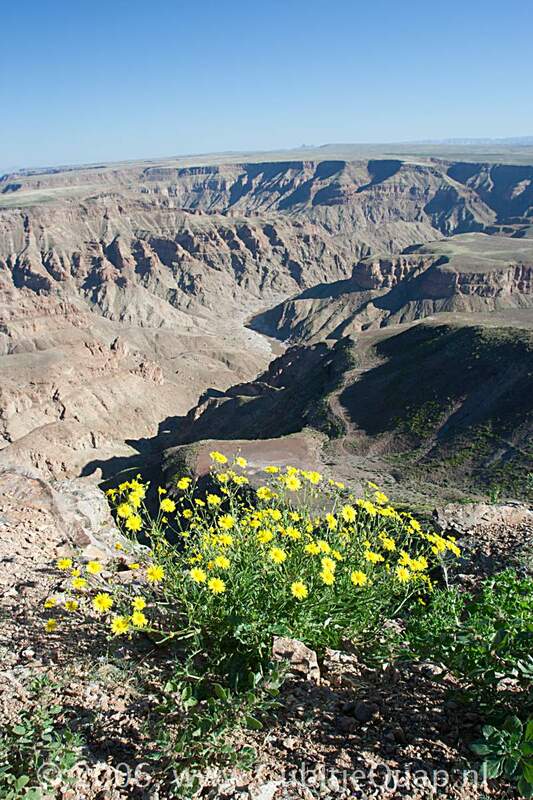 Earliest Bushman findings date back around 50.000 years. Other findings include early and middle Stone Age sites.